A unique product allowing you to reseal waterproof materials after embroidering them. 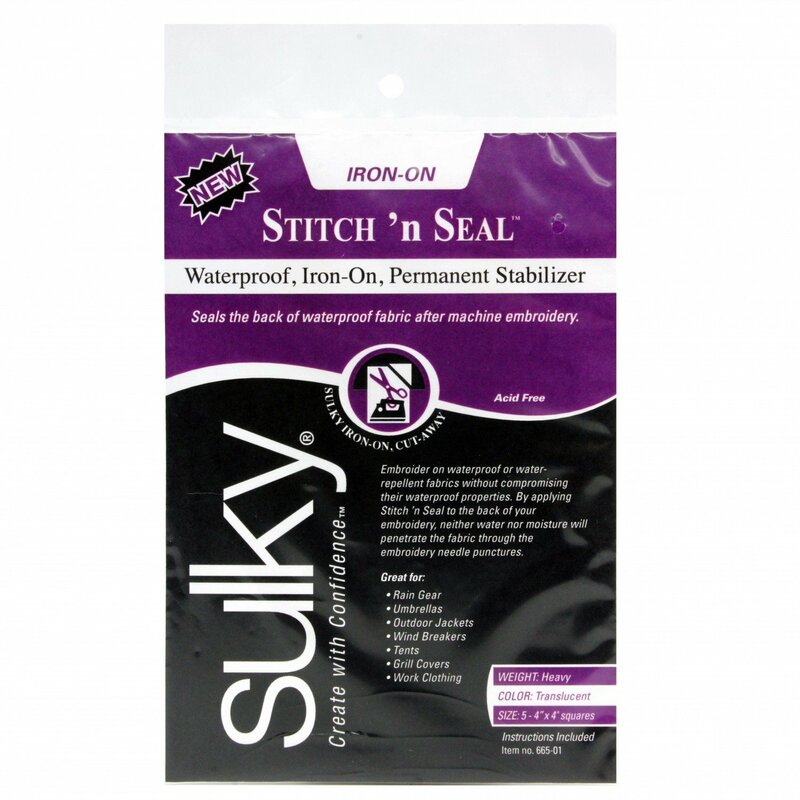 After decorating items such as umbrellas, rains coats, wind breakers, cosmetic bags, etc., consumer can now seal the needle penetrations by ironing Stitch'n Seal onto the wrong side over the stitches. To use, place Stitch 'n Seal on the wrong side of embroidery, iron with medium heat and be gentle. Cut away the excess.